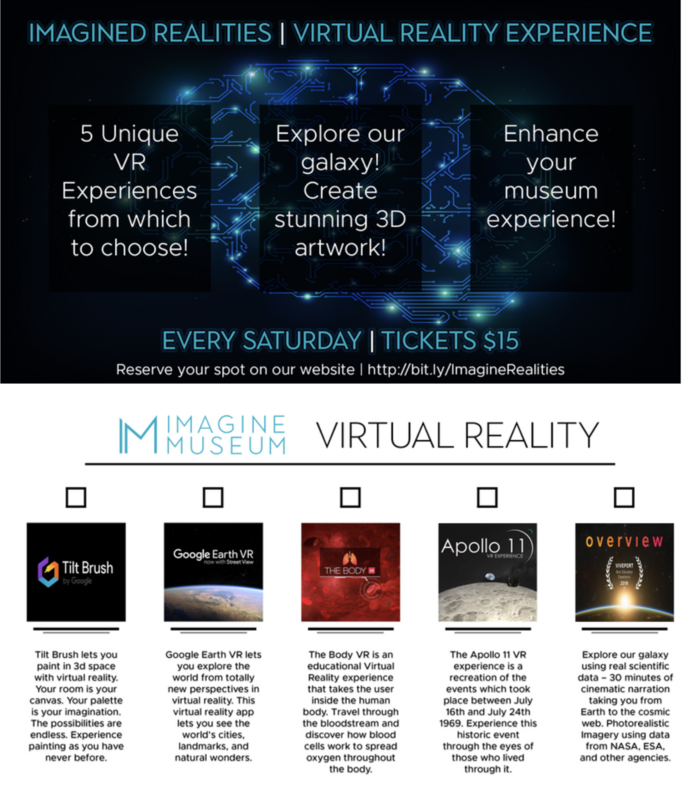 The Imagine Museum is proud to announce “Imagined Realities” – our very own Virtual Reality studio experience! You can choose from five unique and educational VR programs: Google Tilt Brush, Google Earth VR, The Body VR, Apollo 11 VR, and Overview VR. Create stunning 3D artwork, explore our solar system, or visit studio glass hotspots all in Virtual Reality! Every Saturday – 30-minute reservations can be made online or at the front desk.